Syngenta seed treatments are formulated to maximize your ROI. Seed treatments are a complex mix of active and inert ingredients. Although they may look the same on the outside, their formulations may be very different. A poorly formulated seed treatment can lead to product separation, equipment clogging and dust-off. What is your target disease and insect spectrum? Lower cost generic blend seed treatments may contain outdated technologies that have gaps in activity on certain pests. 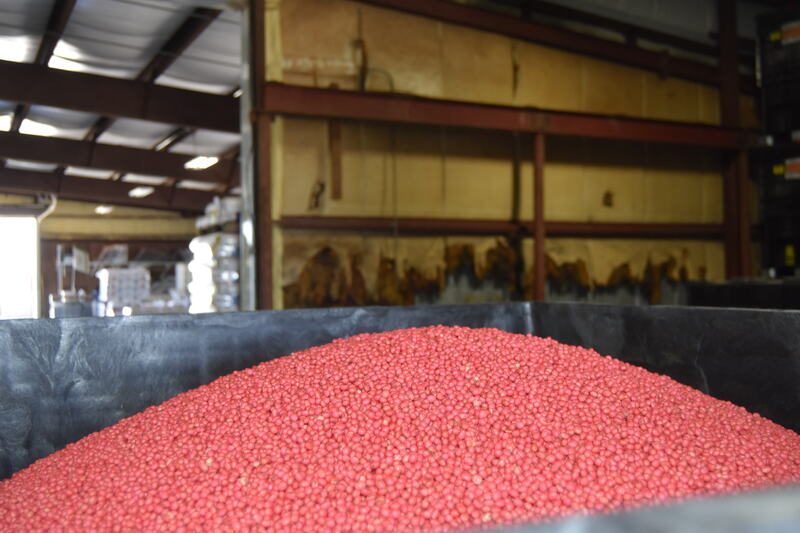 Has the seed treatment been shown to provide early-season protection? Generic blends often don’t offer the latest, innovative active ingredients or strong enough protection against early-season diseases to help prevent plant stand loss and damping-off. Does the seed treatment offer plant-health benefits, such as improved vigor and faster speed-to-canopy? Many generic blends can contain old technologies that are limited to basic disease and insect management, or untested technologies that claim to provide unproven root health and yield benefits. Is the formulation proven to perform under a range of weather and planting conditions? Generic blends may cause additional problems like sticking and increased rub-off during treating and planting if the environmental conditions change or become unfavorable. Don’t let generic blends slow you down with planting delays and uneven crop emergence. CruiserMaxx® Vibrance® Beans seed treatment, a combination of separately registered products, is formulated with high-quality active ingredients that are proven to ensure uniform seed coverage, trouble-free planting and documented plant-health benefits. CruiserMaxx Vibrance Beans undergoes 16 different tests to ensure quality and performance in real-world application and environmental conditions. With CruiserMaxx Vibrance Beans, you can be confident knowing that you’re getting an effective combination of active ingredients. The optimized formulation provides time-tested performance, year after year. Talk to your local Syngenta sales representative and check out our infographic to learn more about what’s on your seed. Sign up for the Know More, Grow More Digest to receive twice monthly agronomic e-mail updates pertinent to your area.